Our patrons constitute a special community of like-minded and influential individuals who support us in our goal of creating an inclusive environment to come together and create new work. In 2017 we were delighted to welcome Dame Emma Thompson as our first patron of Scene Gym. This year we are excited to announce that Sabrina Mahfouz has also joined Scene Gym as a patron. 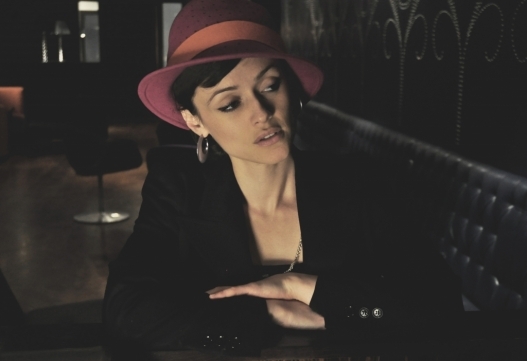 Sabrina Mahfouz is a playwright, poet, screenwriter and performer who was raised in London and Cairo. She has recently been elected a Fellow of the Royal Society of Literature and is the recipient of the 2018 King’s Alumni Arts & Culture Award. She has been shortlisted for The Stage Award for Best Solo Performance, a Women in the Creative Industries Award, an Arts Foundation Award for Performance Poetry and has won a Sky Arts Academy Award for Poetry, a Westminster Prize for New Playwrights and a Fringe First Award. She also writes for children and her play Zeraffa Giraffa won a 2018 Off West End Award. Sabrina is the editor of The Things I Would Tell You: British Muslim Women Write, a 2017 Guardian Book of the Year and currently nominated for The People’s Book Prize. We would like to thank The Fenton Arts Trust for their support with our upcoming Emerging Artists R&D Project.